Finding respite in these turbulent times can prove to be a challenge. Now more than ever, the need to discover sources of hope and positivity is crucial. This is where the Boston-bred Lake Street Dive comes in. 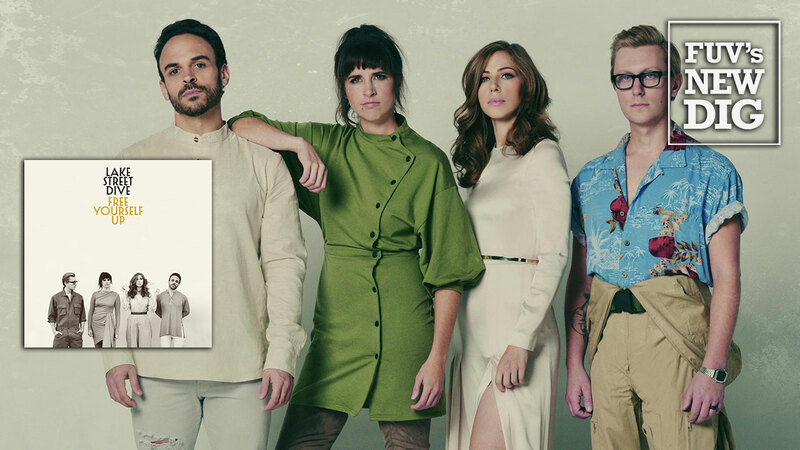 With the group's good time blend of finger-snapping pop and jazzy vocals, Lake Street Dive adds a little sunshine to the darkest days. It's been two years since the release of the band's last album, Side Pony, and 14 years since the band first got together. Free Yourself Up, the band's second with Nonesuch and sixth studio album, strives to empower and liberate in an age of turmoil. It’s a confident collection of songs that reflects the quartet’s nearly decade-and-a-half of music making. Singer Rachael Price, multi-instrumentalist and vocalist Mike “McDuck” Olson, bassist and vocalist Bridget Kearney, drummer Mike Calabrese, and their new bandmate, keyboardist Akie Bermiss, operate like a well-oiled machine on Free Yourself Up. They share in the songwriting and production, making their already cohesive approach all that more unified. The current political climate is referenced in “Shame, Shame, Shame,” which declares, “Change is coming.” The album’s title is lifted from the lyrics of “You Are Free,” a sneering funk tune that Price immerses herself in, delivering a passionate vocal performance. The real eye opener is “Dude,” a statement on gender equality set to a grungy rock melody that breaks off into a frenzied close in which Olson lets loose on both trumpet and guitar. To balance the album’s upbeat center are slower tunes, like the ballad “I Can Change” and the soulful gem “Musta Been Something." Price, a remarkable pop singer, enjoys herself on the first single, "Good Kisser." With the release of Free Yourself Up, which the group self-produced, Lake Street Dive has sharpened their focus. It's the band's most complex and mature album, but they still know how to have fun, even if life is a little more serious and they're a bit world weary.